Investigators at Università degli Studi di Palermo, ARPA Sicilia, and Dipartimento Regionale dello Sviluppo Rurale e Territoriale – Regione Siciliana conducted an ethnobotanical field investigation to identify wild native species traditionally gathered and consumed as vegetables in Sicily and highlight new culinary uses of those plants. The team interviewed 980 people over the age of fifty — mainly farmers, shepherds, and experts on local traditions — in 187 towns and villages. They documented 253 species of wild vegetables, 72 of them eaten only in Sicily and 26 cited in this paper for the first time. Several so-called “ancient vegetables” were also included (Onopordum illyricum, Centaurea calcitrapa, Nasturtium officinale, Scolymus spp., Smyrnium rotundifolium). 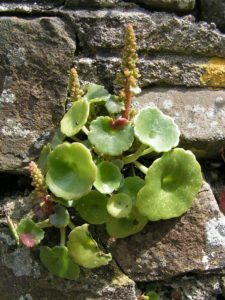 At least two species of wild vegetables, Umbilicus rupestris and Umbilicus horizontalis, are also known for uses in traditional medicine. “Wild vegetables, with the traditions, customs, and practices surrounding them, are a part of the Sicilian cultural heritage, which unfortunately every day is at risk of disappearing under the pressure of globalization. This situation may, in a few decades, lead to the loss of the knowledge acquired throughout the centuries by generations of farmers, herders, foresters and other people who lived closely together with nature. Such a loss would be very heavy because it would deprive the population of a food source of considerable interest from a qualitative point of view. Non-cultivated vegetables are rich in nutritional components that are often present in smaller quantities in species of cultivated varieties, which are selected for their high manufacturing yields. In times of possible food shortages, the population would no longer be able to identify the food resources available. Send email to avery@williamaveryhudson.com for information about submitting qualified published research for sponsored posts on this blog.